Please note: this is a free service via which I will email you the latest train driver job vacancies. I will also send you related train driver information and promotional emails. I have created this page where I list all the externally advertised Train Crew and related Management and training jobs I am aware of in one place. This list may not be exhaustive and is only updated every few weeks. Some jobs, especially for Trainee Train Drivers, are only advertised for a short time and call fall between updates and it is as well to monitor the Jobs Pages of Train Operating Companies yourself so as not to miss anything. Details about where to apply are listed on the Train Operating Companies page. Around 400 people apply for every Trainee Train Driver’s vacancy. Only one – 0.25% – will succeed. Which means that it is almost impossible to get into this job with a casual approach. You need to know what you’re doing and prepare properly before you start. Well, start here…. What the role of involves. How to demonstrate the assessable qualities throughout selection. How to complete the application form to ensure success. What the psychometric tests involve. Sample Trainability for Rules and Procedures test. Get to try a mechanical comprehension test. Lots of Group-Bourdon testing and an online testing resource to take away. How to be fully prepared for the testing day. The difference between both sets of interviews. The structured interview and how to answer the questions. How to demonstrate previous experience during the interviews. What the manager’s interview involves and how to pass it. Sample interview questions and responses. A mock interview demonstration – get to try the interview. How to answer the train driver interview questions. Useful aids for practising – you will receive sample tests! 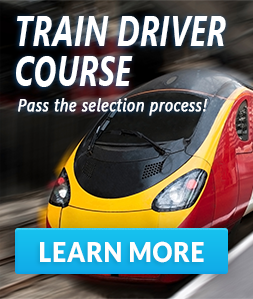 Trainee train driver recruitment details. 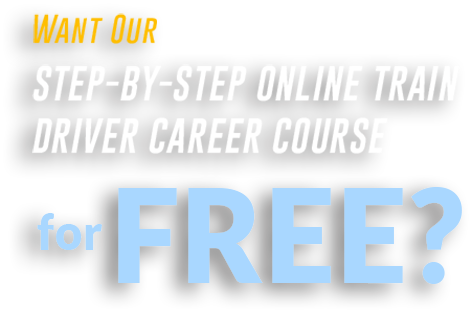 If you’re serious about going for this career you really need to do this course.